Short sales often appeal initially to home buyers due to their low listing prices. There are, however, several risks involved in making an offer on a short sale. If you are considering buying a short sale home, it is important to consider not only the money you might save on the home itself but also the complications you'll face in the process. A short sale occurs when a homeowner decides to sell his home for less than he still owes on the mortgage in order to relieve some of his mortgage debt. For some, this is a preferable alternative to foreclosure as it has less impact on credit score. A short sale may result in a discounted price for buyers, but it also comes with its own risks and hassles. If you are interested in a short sale property, it is important to first hire a real estate agent who is experienced in short sales. Once you have decided to make an offer, be prepared to wait up to several months to receive a response from the lender. Short sale offers often require multiple approvals before being accepted, and you may be approached with a counteroffer from the lender. If your offer is accepted, have a home inspection conducted. This will reveal any hidden problems in the home, such as termites or mold. Have the inspector give you cost estimates. If you decide after inspection to go ahead with your offer, the lender will issue an approval letter and you can schedule a final closing. 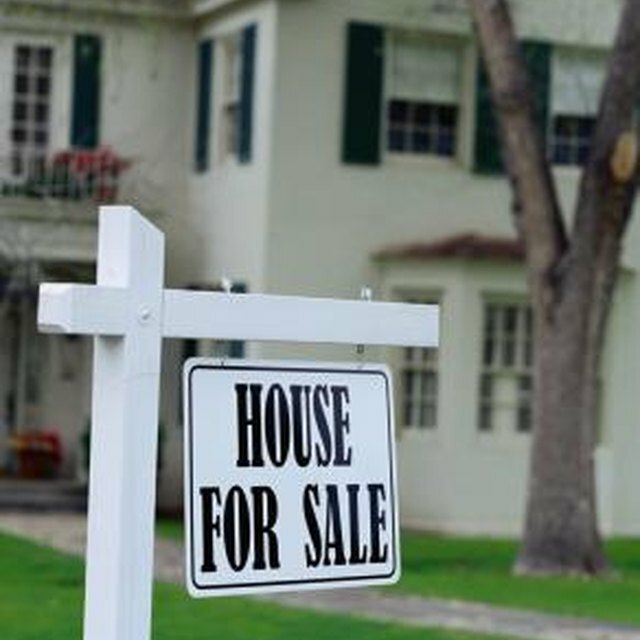 The primary benefit of purchasing a short sale is the price. Houses that are offered for short sale are usually listed for less than their market value, and this can result in big savings for the buyer. And since the seller of the home is the initiator of the short sale, rather than in a foreclosure where he is evicted, you will havehis cooperation throughout the process. Despite the low listing price, a short sale may rack up significant expenses in renovations. Since short sale homes are sold "as is," you will be financially responsible for any renovations needed. Come up with a rough estimate of renovation costs and be sure it doesn't negate your initial savings. You will also probably be responsible for paying all closing costs on the home as banks generally do not pay any of them in a short sale. Another drawback is the length of time it can take for an offer to go through. Where a non-short sale offer can go through in as little as 24-48 hours, a short sale offer can take months to be returned. A short sale is ideal only if the price of the house is low enough to leave room for renovations and other costs and if you have time to wait for your offer to be accepted. If you need a place to live immediately or are hoping to buy a home that won't require much work, a short sale is not right for you. If you do find a short sale home that seems to be worth the risks, hire an experienced real estate agent. Working with your real estate agent throughout the entire process will enable you to avoid unknowingly paying more than you'd expected.